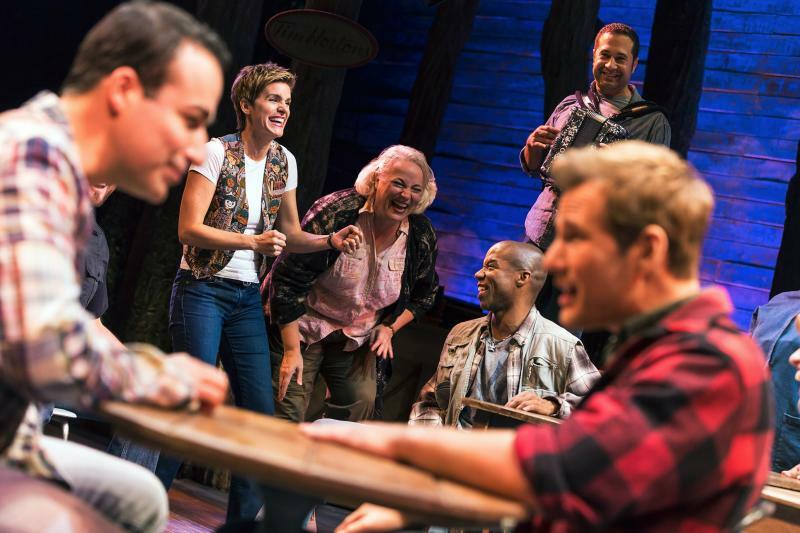 Contrasting many of the mega-budget, high-tech new musicals, the simple staging of Come From Away wins hearts with its soaring humanity. 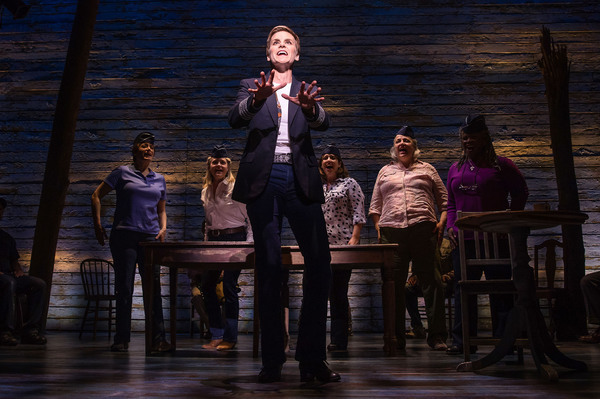 The presence of Come From Away of Broadway is an example of quality material rising all the way to the top. The new musical was crafted by married Canadian writing team Irene Sankoff and David Hein, based on hundreds of hours of interviews with residents of Newfoundland and the thousands of passengers whose planes were diverted there on September 11 2001. While the residents of Gander and its surrounding towns unflinchingly galvanise to action, the stranded passengers who have come from away are scared and disoriented. As their fears and urgent needs are met with unfailing kindness and generosity, the passengers cannot help but let down their guards and embrace the unique experience. Although the premise may sound syrupy and sentimental, the show succeeds due to the razor sharp writing of Sankoff and Hein, who keep the pace lightning fast and have whittled down the collected stories to illuminate the experiences of a set of beguiling and involving characters. The events in New York and Washington on September 11 are treated as assumed knowledge for the audience, keeping the focus on the positive action occurring miles away in Newfoundland. Sankoff and Hein’s songs are immediately accessible, performed with infectious toe-tapping energy. The music has a distinctive bluegrass sound. The band, performing on stage, including rare instruments such as bodhran, bouzouki and uillean pipes. The centerpiece of the score is “Prayer,” a gorgeous sequence in which the prayers of people of various faiths mix as countermelodies and harmonies. Director Christopher Ashley oversees the electric pace of proceedings, grounding the action with a natural sense of reality. The show is a gift to its twelve cast members, giving them all multiple roles to play. With the help of minor costume changes (designed by Toni-Leslie James) and hundreds of pinpoint lighting cues (Howell Brinkley), Ashley ensures that the ever-changing line up of characters is crystal clear. The term “ensemble cast” is often used, but in this case it is totally appropriate. Even in the curtain calls, the cast just bows together, with no particular actor singled out. Character arcs that I responded positively towards included the warmth of primary school teacher Beulah (Astrid van Wieren), the unwinding tension of uptight African American Bob (Rodney Hicks) and the burgeoning adult romance between Nick (Lee MacDougall) and Diane (Sharon Wheatley). The friendships that form and are sustained, and the generosity back to the people of Newfoundland that is shown by the 7000 stranded passengers when they return home are truly inspiring. The reflections and reunions at the point of the ten-year anniversary would leave only the hardest heart unmoved. 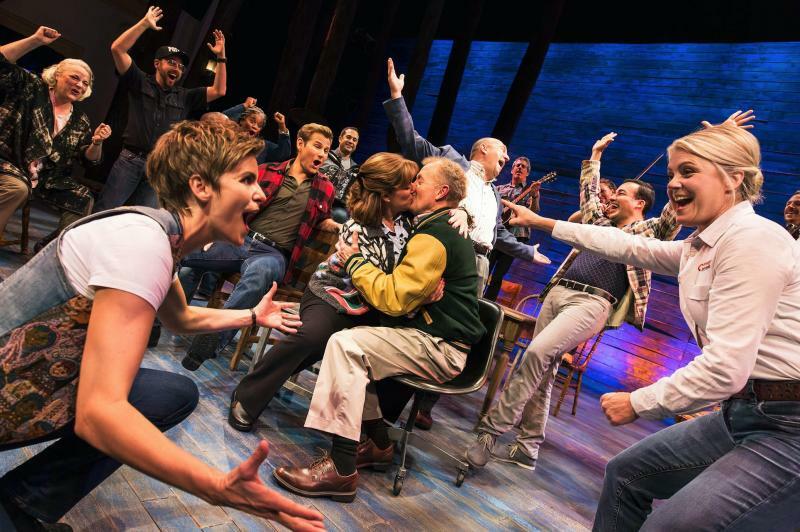 Come From Away is unlike other Broadway musicals, and its point of difference is to be celebrated. The 100-minute show leaves the audience on a buzzy high of good will. The universal message and straight forward staging mean that the show is sure to be produced around the world. 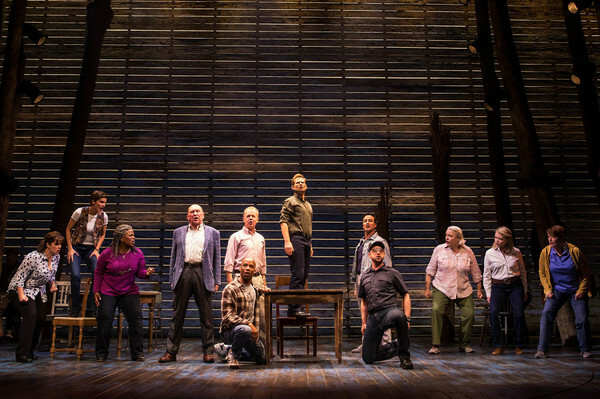 Come from Away was reviewed 2pm Wednesday 5 April 2017 at Schoenfeld Theatre, New York. Hoping to see this one day in NYC, this is a good review but I wanted to point out a spelling mistake, the town is Gander not Gandel. Thanks so much for the feedback Tracey, I have made this change now. 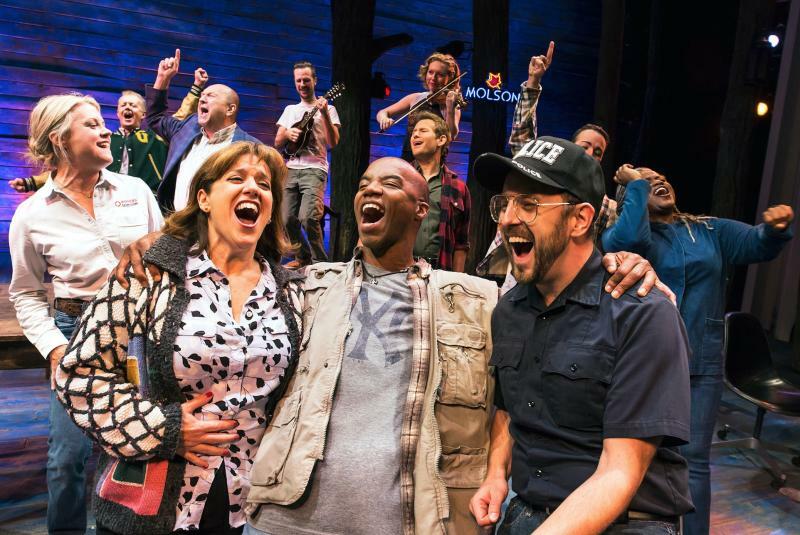 I really hope you get see Come From Away, it is a wonderful show.